Elizabeth Anderson is Professor of Interprofessional Education at Leicester Medical School where she is also lead for patient safety. After completing a graduate nursing course at St Bartholomew’s Hospital London, she moved to Leicester where she worked as a Midwife and Health Visitor. Her PhD on Sudden Infant Death syndrome, led her into an NHS Trust research post where she explored service design for disadvantaged marginalised populations. Elizabeth moved from health care research to scholarship in Medical Education where she led innovative practice-based educational interventions, underpinned with theoretical insights. She served on the Board for the Disability Partnership, ‘The Prince of Wales Advisory Group on Disability’ while supporting education on disability awareness. She has also served on the Board for the UK Centre for the Advancement of Interprofessional Education and in 2016, she was awarded a CAIPE Fellowship for her contributions to interprofessional learning (IPL). Elizabeth was awarded a National Teaching Fellowship by the Higher Education Academy for outstanding contributions to education in 2007. She is widely published in the area of IPL in practice. She continues to develop placement interprofessional learning opportunities recently in a new integrated care module. 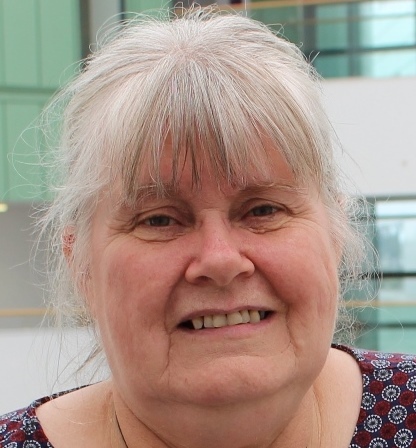 She advocated for patient involvement and runs a Patient and Carer Group to align patient involvement in the design and delivery of professional education. Dawne is Head of Collaborative Education at the University of Central Lancashire. She is based in the Centre of Excellence for Learning and Teaching, and leads on Interprofessional and Interdisciplinary Education across the institution. She has a keen interest in integrated working, collaborative practice and community engagement, which reflects her background as a community practitioner. She joined the CAIPE Board in June 2018 . She is a member of the CAIPE group for Learning and Teaching. Her research interests include : Interprofessional and Interdisciplinary Learning. Technology Enhanced Learning, Narrative research and Service User Engagement. Richard Gray has been a member of the CAIPE board, CAIPE executive group and was CAIPE Chair 2013-17. He was privileged to have been awarded a CAIPE Honorary Fellowship in 2018. He is an Honorary Faculty Fellow, University of Brighton. Richard was a general practitioner in Brighton for many years. He initially was involved with postgraduate medical education having been a GP Tutor, GP trainer and Associate Dean for Postgraduate General Practice Medical Education South East Thames. In 1989 he was awarded FRCGP. He has an MA in Education (University of Sussex) and an EdD (University of Brighton). In 2000 he was awarded an NHS Executive Research Training Fellowship to Johns Hopkins Medical School, Baltimore. Later he was involved with undergraduate education and was appointed Principal Lecturer in Primary Care and interprofessional disciplinary lead at the Brighton and Sussex Medical School. In this role he was member of the curriculum planning team for the new medical school and was involved in the design and implementation of the undergraduate first and second year clinical practice modules which included IPE involving nursing, midwifery, pharmacy, social work and medical students. In 2010 Richard received an Annual Education Award presented by Department of General Practice Education, KSS Deanery in recognition of regional services to medical education. More recently, Richard chaired the Steering Group for the Oxford 2016 ATBH VIII conference and following this was appointed Convenor of the Values Based Interprofessional Education and Practice Network at The Collaborating Centre for Values Based Practice, St Catherine’s College, Oxford. Richard has also been working with Elizabeth Howkins in developing a series of digital stories relating to IPE which are now available on the CAIPE website. He is working with Jenny Ford and HEE South in publishing an IPE Handbook to be used in a series of pilot studies based in hospital and community trusts. His current interests include: Preparation and support of teachers involved with IPE; Values based interprofessional education and practice; Patient safety; Collaborative leadership. 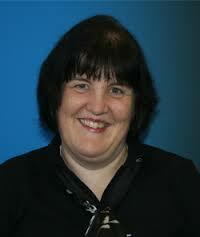 Susanne is Director of the Centre for Interprofessional Practice (CIPP) and Professor of Interprofessional Practice. She is also Director of Learning and Teaching Quality for Norwich Medical School at the University of East Anglia (UEA). Susanne is since 2016 proud to be a CAIPE Fellow and together with likeminded colleagues work towards a vision where “all professionals put interprofessional practice at the heart of their service by providing integrated and high quality care that is person-centred, compassionate, efficient and safe”. Susanne joined CIPP in 2002, initially to set up a pilot with healthcare students. The purpose of the initiative was to give students an opportunity to learn with, from and about each other allowing them to develop knowledge, skills, attitudes, values and behaviour that underpin effective interprofessional practice and high quality care. The initial pilot turned out to be a success and as a result she was asked to extend IPL to involve all health and social care students. In 2016-2017 CIPP offered a number of different opportunities of IPL to ~ 3000 students across twelve different professions. 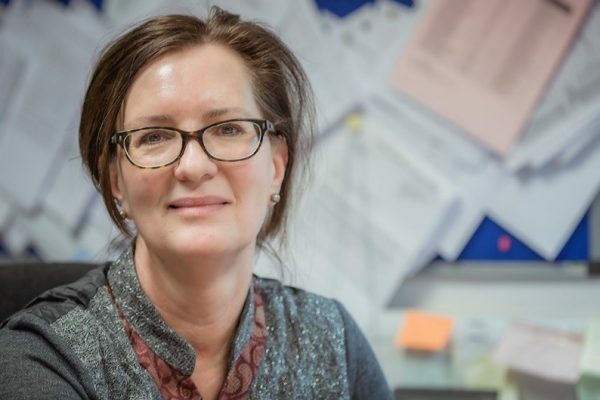 From 2017-18 delivery of pre-registration IPL transitioned to schools with Susanne as CIPP Director taking on the role of supporting the ongoing development and quality assurance of the provision of IPL at UEA. Since 2018, Susanne and CIPP will work with the local Trusts in meeting the increasing needs and expectations of our future healthcare practitioners by promoting networking and innovation in interprofessional practice – in teaching and research. Working together with others both locally, nationally and internationally has been a key ingredient in CIPP’s and Susanne’s approach to finding the best way forward in the joint attempt at providing meaningful opportunities for learning and working together that lead to real improvements in patient/client care. Susanne is currently undertaking a training to become an accredited coach for senior leaders so that she can actively help promote the overall aim of CIPP by supporting people to develop and optimise their leadership skills.